Fort Union National Monument was created in 1954 but remains relatively unknown, despite being just 8 miles from Interstate 25 in northern New Mexico. 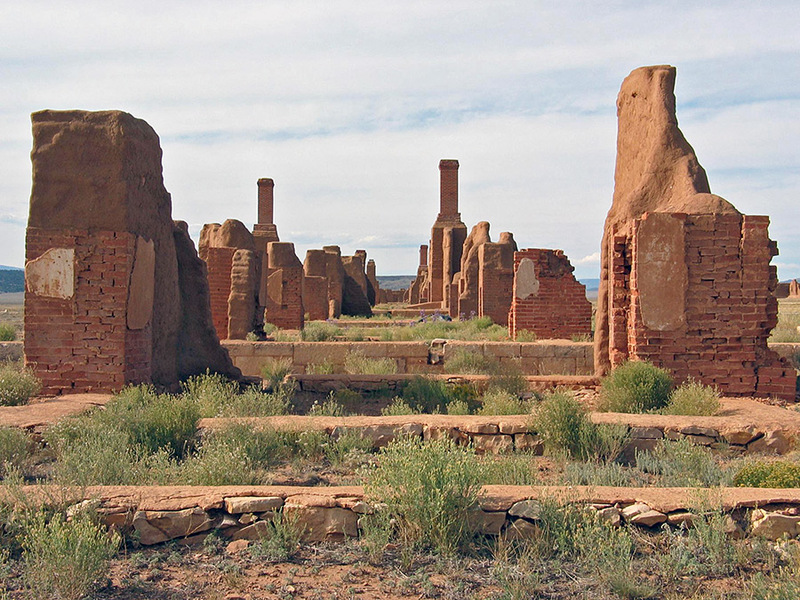 The preserve contains the remains of a large 19th-century fort, surrounded by flat prairie typical of this part of the state, in places still marked with ruts from wheels of wagons traveling along the Santa Fe Trail. The site is quite extensive, containing several dozen original buildings, and a walk of about a mile is required to view all areas. The nearest major city is Las Vegas, 30 miles south.